Welcome to the wonderful world of Zombolette, where complex questions of science, art, ethics, religion, relationships, and life are addressed in the most inane ways imaginable. 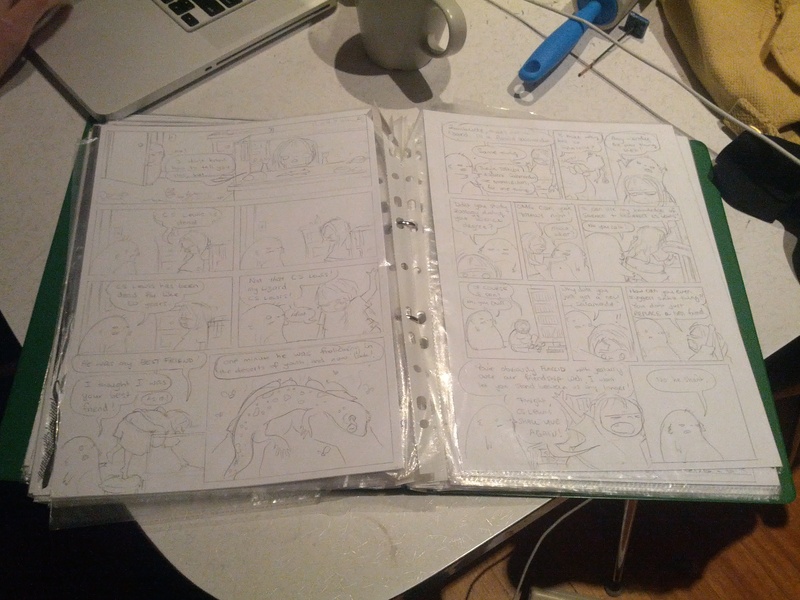 Finally finished pencilling this new story! This one gets kind of dark and sad. A really fun one to write, though. I cannot wait to ink it. Inking is by far the funnest part of the process. All the hard, boring, smudgy, annoying, STUPID pencilling is done, and all I have to do is add the fun details and see it all materialise. I’m trying really hard to love pencilling more. Really really. Maybe when I get better at composition, I’ll enjoy it more. Cartoonist, musician, writer, scientist, and big sister.